This winter version of our popular Wayfarer stretch woven trekking pant has double-weave for a bit more wind protection, but remains soft and breathable. A staple for fall hiking or light touring in moderate conditions. Last season we reviewed the excellent Salomon S-Lab X Alp Mountain Pants which to be honest were so good I’ve been using them ever since. I was keen to try out a lighter pair and the Salomon Wayfarer Winter Pant haven’t disappointed. The Wayfarer Winter pant are a well designed and well made suitable for all your mountain adventures when the temperature turns a little colder. They aren’t a full on winter pant the S Lab x-Alp mountains are much more suited to that, but if you want a lighter weight more breathable pant for fast moving adventures then the Wayfarer Winter Pant will suit the bill. The main fabric is a tight, double weave fabric that Salomon call AdvancedSkin Shield, this has the appearance and feel of Schoeller. This proved to be breathable as well as wind resistant in moderate winds, when the wind blew hard I felt I had to put on a pair of lightweight hardshell pants over the top and after that they were super warm. That said, in a moderate breeze they were fine and as long as I kept moving I never felt that the wind was a problem. There is a moderate knee articulation but nothing that you would notice so they will stand up to looking OK in the pub as well as feeling more comfortable on the trail. Great freedom of movement and lightweight for winter days out. There are 4 pockets on the Wayfarer Winter Pant, two zipped hand pockets that have nice glove friendly zip tags. They are also made from mesh to aid breathability. The back pocket is also mesh and zipped to aid security for your wallet when strutting up and down the high street. The zipped side pocket is laminated to the right leg to minimise stitching and help the wind resistance, I found the length of this zip just a tad too small to use effectively with gloves on, but this is a minor niggle and I found all the pockets well made and designed. The waist has a nice microfleece lining which helped retain the warmth of the Wayfarer Winter Pant and also has 5 stiffened belt loops which is a nice touch, again all adding to the premium feel you would expect from Salomon. The press stud closure keeps the waistband flush so there are no niggly protuberances to annoy you when using a pack waistbelt. In fact the Salomon Wayfarer Winter pants feel very streamlined fitting. Good enough to mountaineer in as they were nice and stretchy. Talking of the fit, I am a medium fit in size and the 34” waist fitted nicely, I did need a belt but I use one mainly in case the pants get damp and begin to feel heavy. The Wayfarer Winter Pants do have a DWR but as always you will need to note that these treatments only make fabrics light shower proof and not waterproof. The Winter Pants are no exception here, you will need to pair them up with a hardshell layer on damp days. The leg length I ordered was regular – which was way too long for me, I ended up having to have the pants professionally taken up as the regular inseam length is 33”. I should have ordered the short so be careful there and check before you buy. In conclusion the Salomon Wayfarer Winter Pant are an exceptionally well made and designed trekking and hiking pant. 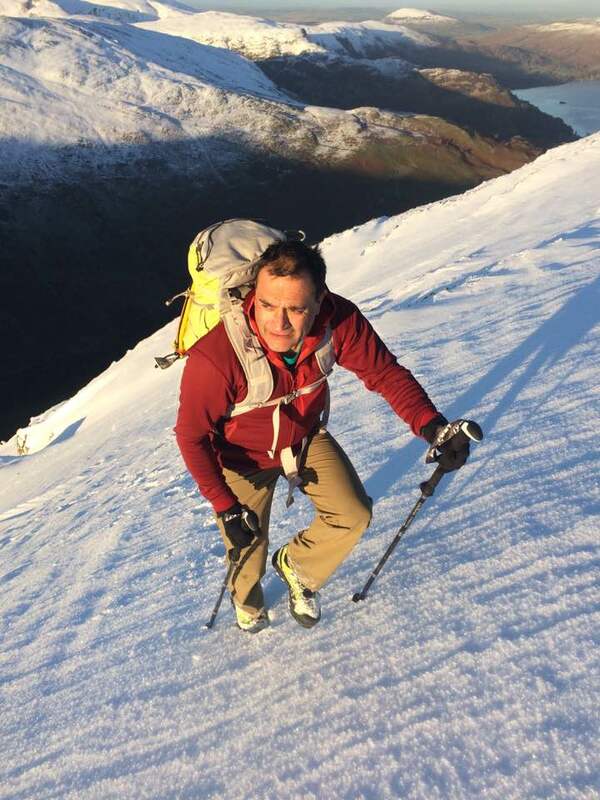 Although they are designed for cooler conditions they are still very lightweight and super breathable and I can see them becoming as much as a favourite as the S-Lab XAlp Mountain Pants have. 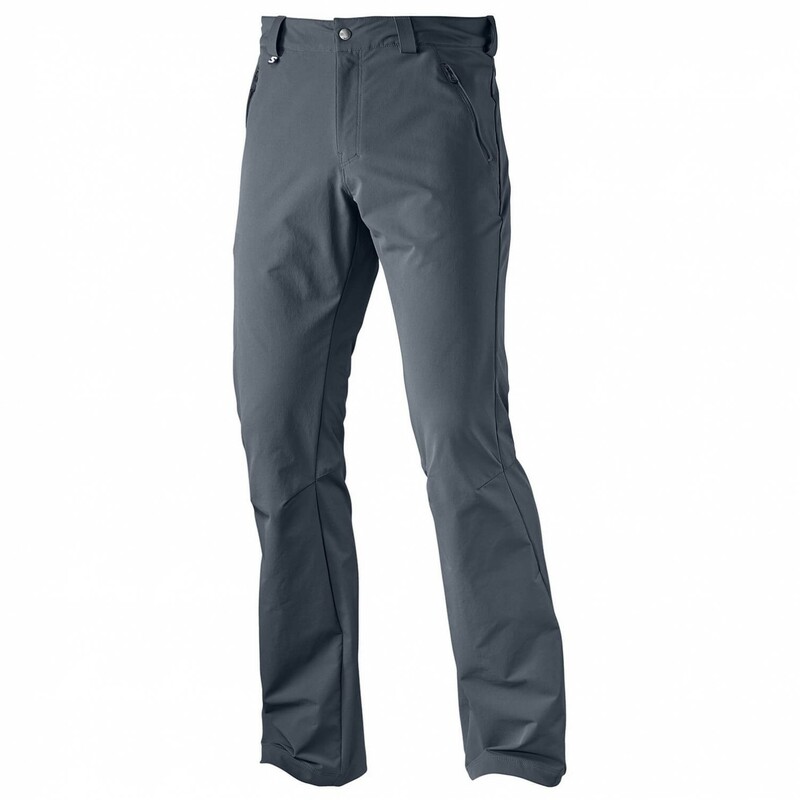 The Salomon Wayfarer Winter Pants come in sizes 30-40” Waist sizes and Regular or Short inseam. They also come in 4 colours: Black, Grey. Khaki and Navy. SRP £90 They are currently on sale for £72 on the Salomon website. 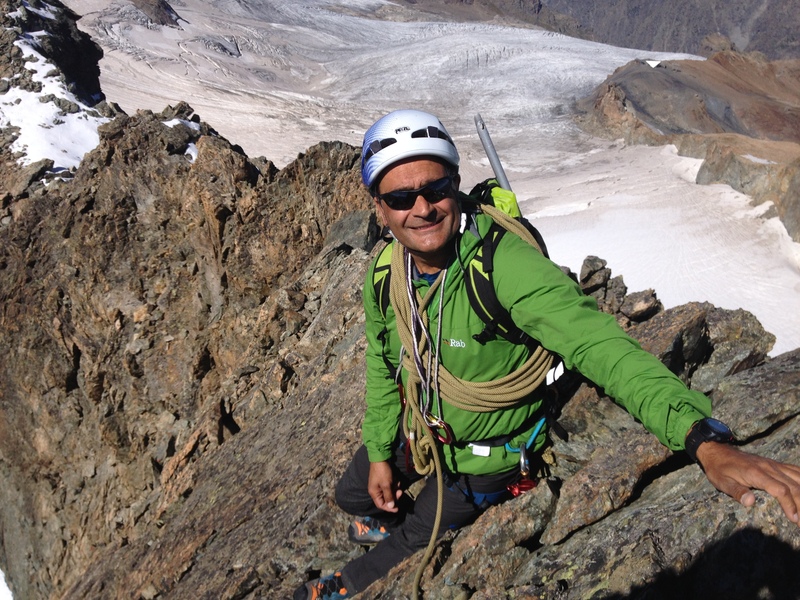 Dave Sarkar has tested and reviewed climbing, mountaineering and outdoor equipment for over 10 years. 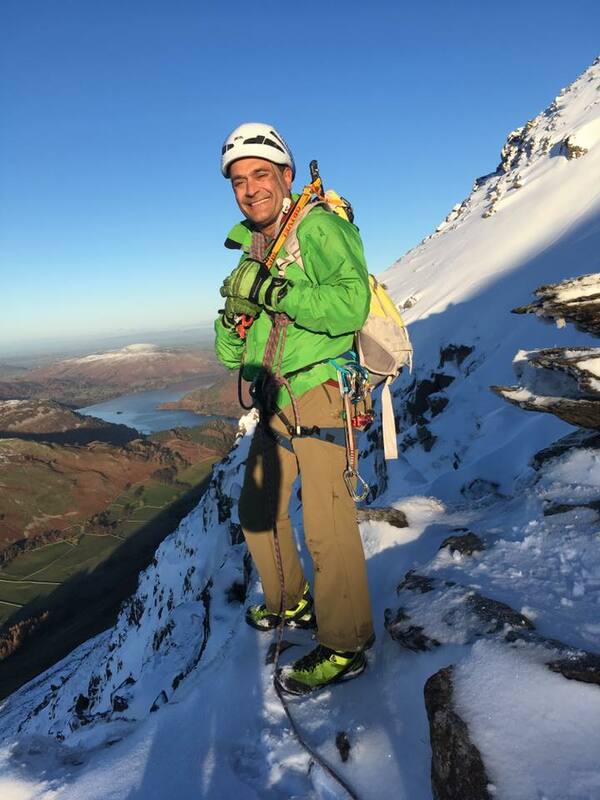 He works as a qualified MIA both in the UK and Internationally: working full time as a mountaineering instructor and expedition leader for his company Wild Spaces. When he isn’t working in the mountains he’s playing in the mountains and enjoys all aspects climbing and mountain sports whether bouldering at his local crag or ice climbing; as long as he’s going upwards he’s happy!